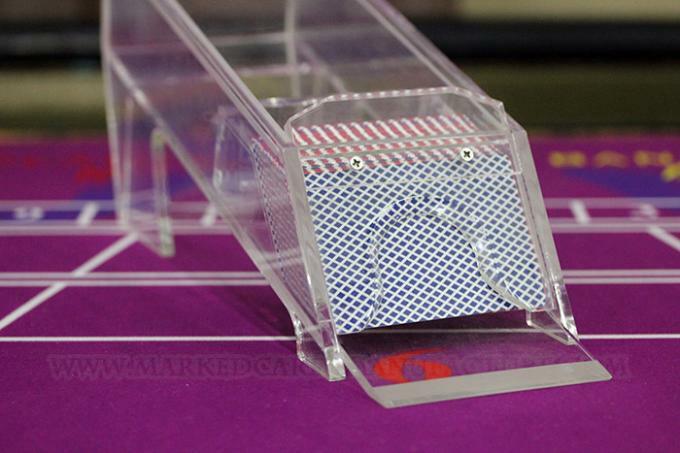 Poker shoe is fit for holding one or more decks of poker cards without requiring the dealer to hold the deck. 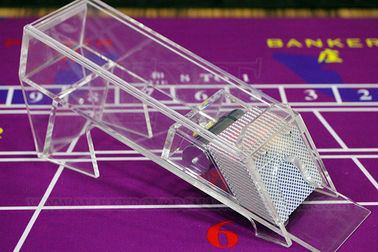 And poker cards are well concealed and are retrieved by sliding them out of a small crack in the front of the poker shoe. 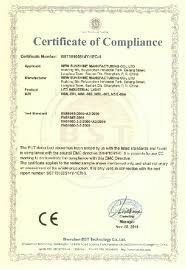 It offers a chance for gamblers to cheat at poker games. 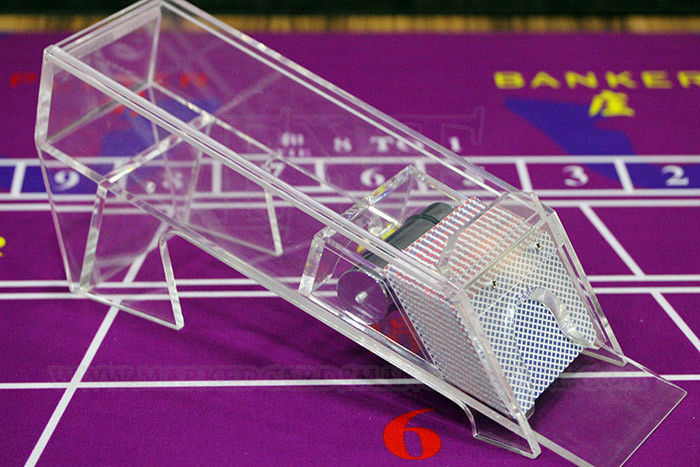 the transparent poker shoe can see the cards face by the tech way when give out the cards , When dealer shuffle the poker cards and put into the poker shoe, according the number you see in a special angle , you can choose to change the first card or not . its up to the dealer , help u win . 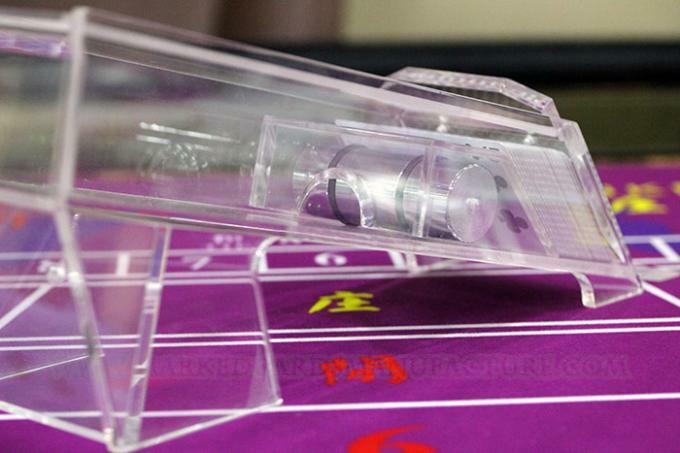 The transparent poker shoe is very useful for poker cheat. No one can find you are gambling poker games. 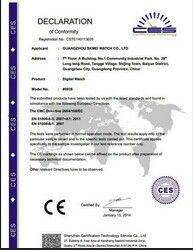 If you want to taste it, please contact us anytime!